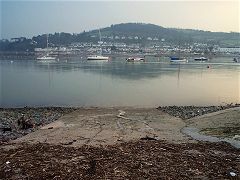 Plymouth provides a number of accessible launch sites. 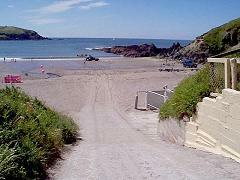 Queen Anne’s Battery is well known as is Bovisand. 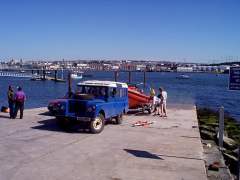 Mount Batten opened in 1998, provides an excellent launch site and is very convenient for divers. It is possible to get air at both places. Mount Batten is now very popular, and parking can be awkward. 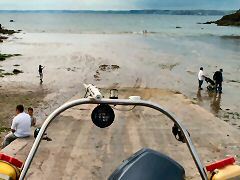 Launching the boat is off the beach which is straightforward at high tide, although care must be taken of swell. Challaborough is a popular caravan site, so access may be tricky. In the summer season, the beach will be quite crowded. 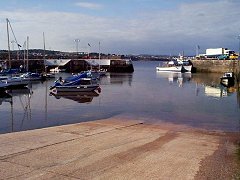 Challaborough now has a barrier at the top of the slipway and which can be opened by obtaining a key from the caravan reception at a price. 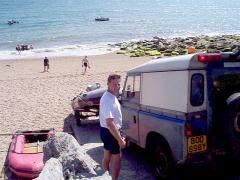 Parking can be a problem and is no longer allowed on the beach. Inner HopeHope Cove has suffered from diver saturation in the past, so consideration for the needs of the local populace is important. 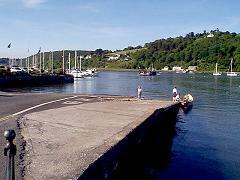 Lauching may only be done on the old lifeboat slipway at Inner Hope for which a fee is charged. The photo was taken at near mid tide. Low tide means a long haul over the sand. Launching can be done at the Shadycombe park for which a substantial fee is charged. It is an excellent launch site, however, and is well used by all sorts of craft. There is usually ample car park space. Hallsands is not suitable for launching rigid hull inflatables, but it is perfectly possible to launch smaller inflatables provided that there are enough willing hands. Care needs to be taken of swell. No air fills but no parking fees. Car parking can be a real hassle during the summer months. You will need to be able to handle the continual flow of the ferry plus the traffic. Off season, this can be a good launch site. However, car parking is now limited to 2 hours, so this means parking elsewhere – a problem. Brixham BreakwaterA popular site for visiting divers. Don’t let this picture fool you into thinking that Brixham is quiet. A fee is charged for launching – not cheap – but there are good car parking spaces. 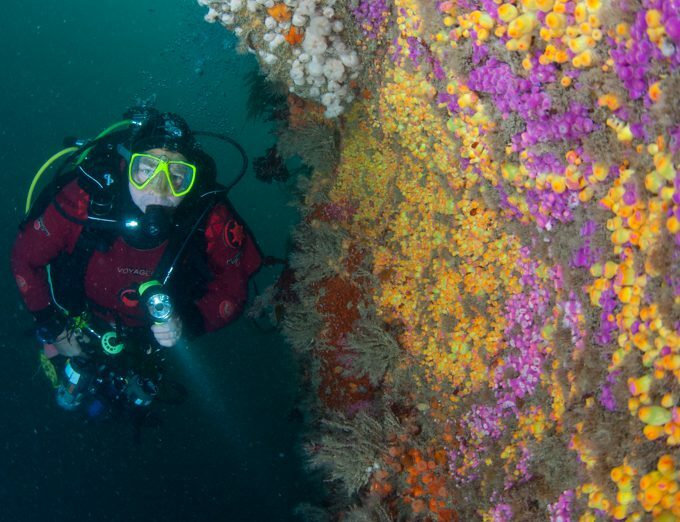 Just over the other side of the breakwater is an excellent shore dive site which is perfect for trying out new divers and equipment. A good launch site, although it is a crowded place during the summer months. 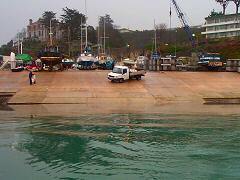 Lots of dinghies use this slipway. There is a launch fee and parking may involve a little walk. 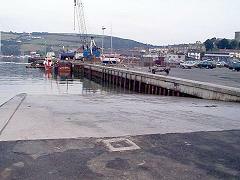 This rebuilt ramp is used as a launch site for yachts but can be used by divers. Limited parking but a nice ramp. Boats have to navigate out over the Bar.